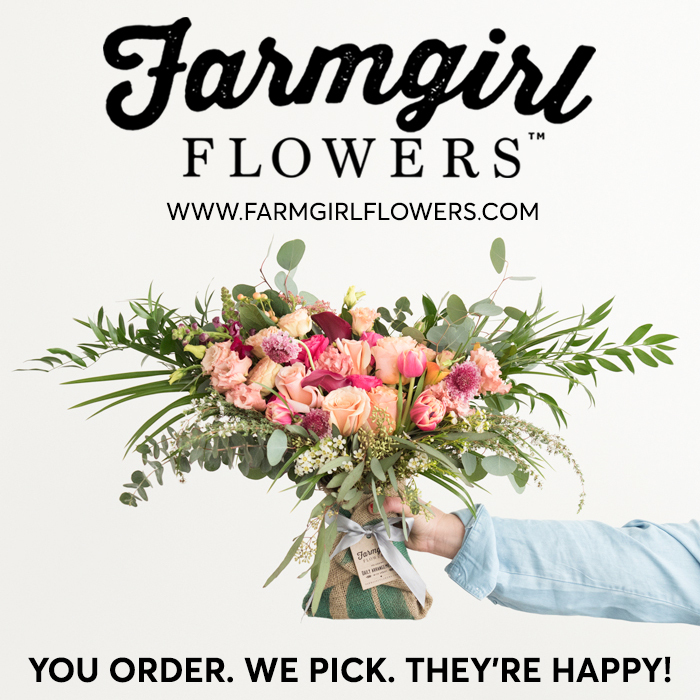 What to plan and plant now! 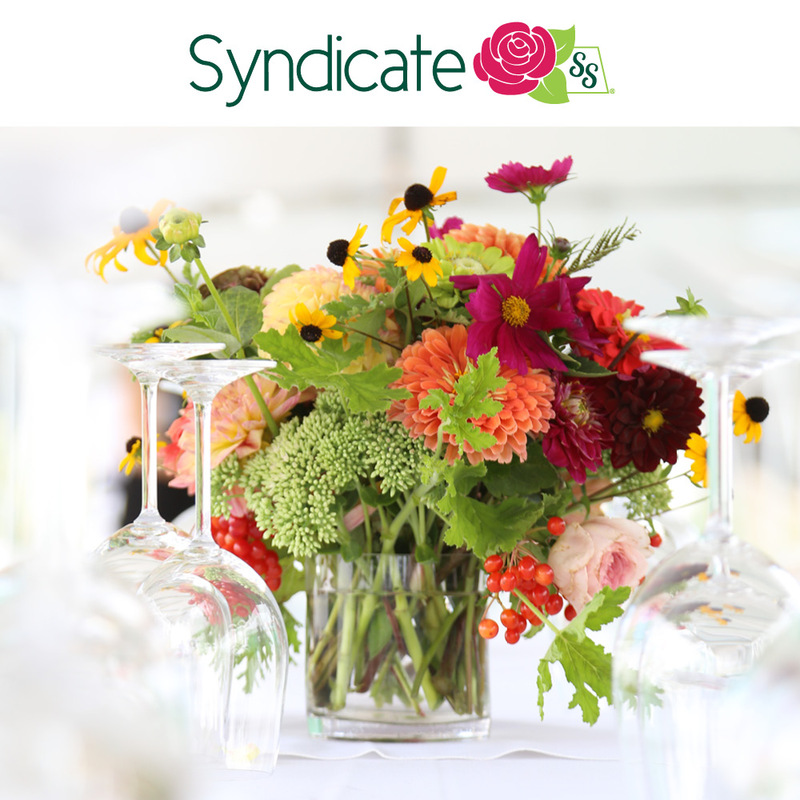 During each month of the year, I want my garden to supply botanical bounty for my floral designs. Harvesting from my own backyard is very important to me because it keeps me grounded in the seasons. 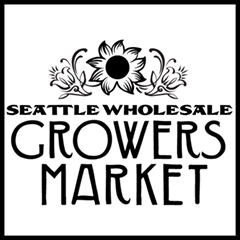 All year long, my perimeter borders produce ornamental blooms not readily found at the farmers’ market. 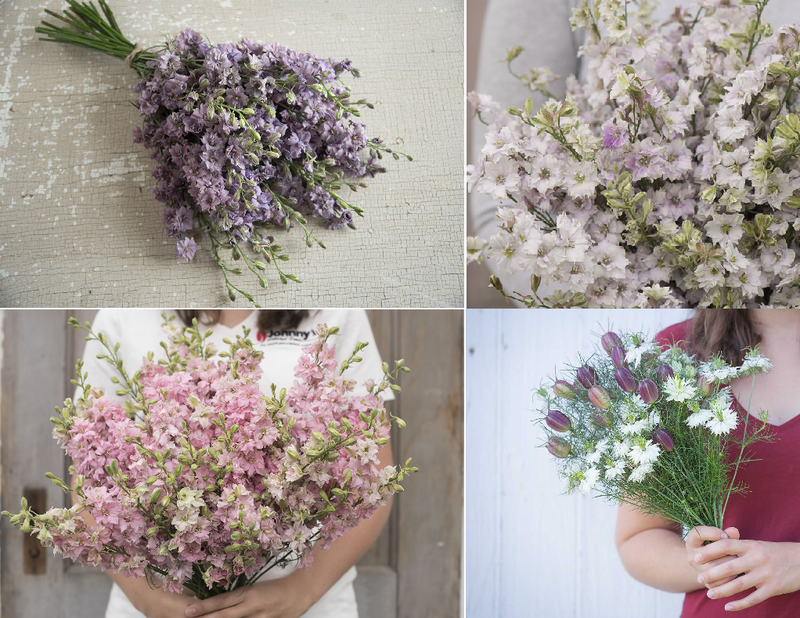 There are also four raised beds — home to spring tulips, abundant summer dahlias, fanciful vines, a proliferation of annual flowers, herbs and specialty cut ingredients. Section 1: The first thing we added early Summer 2017. 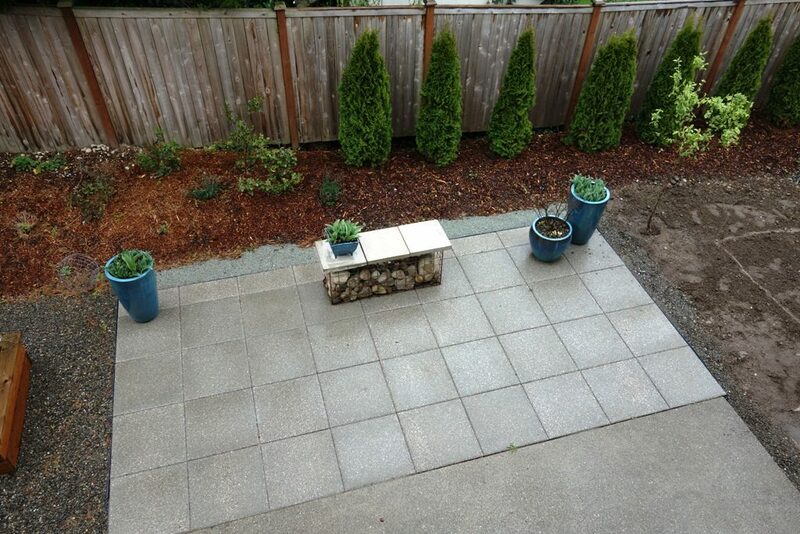 Section 2: We also extended original patio to create a place to entertain, barbecue and have containers. Section 3: Home to a future greenhouse! 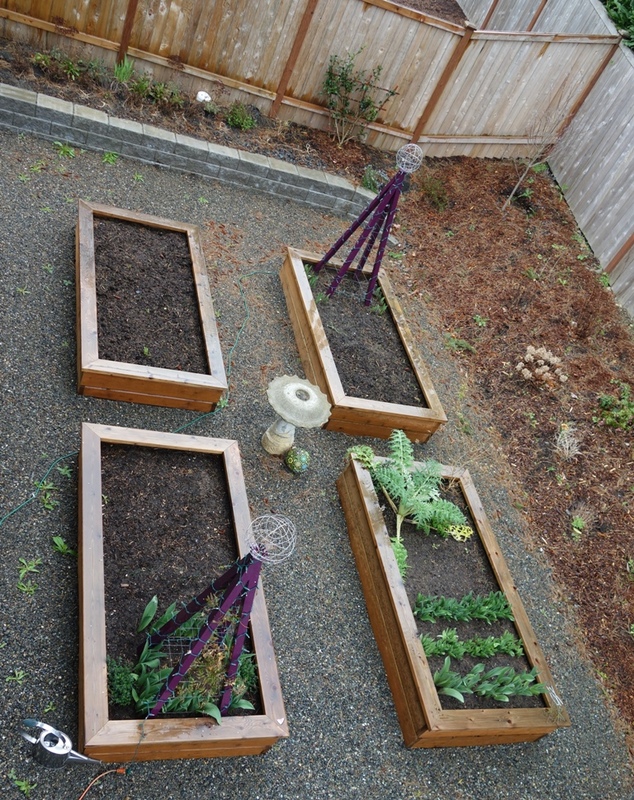 As you can see from the photos above, Section 1 contains a quartet of 4-by-8 foot raised beds; Section 2 is where the patio, bench and containers live; and Section 3 is marked and prepped for a soon-to-be installed 8-by-8 foot greenhouse. Side border garden, last summer. The elevated border along the side (east) fence is formed by a block-style retaining wall that the builder installed to accommodate the grade change from the neighboring property. 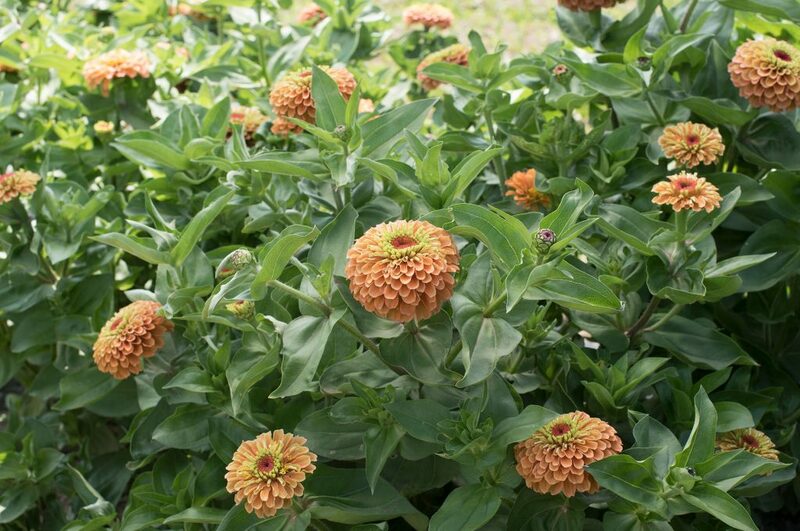 While only 24 inches deep, it is an impressive 80-feet long, giving me another huge area for perennials, annuals, more dahlias and a few shrubs like a tree peony and an espaliered camellia. Back Border with perennials, roses and hydrangea, etc. The border across the back (south) fence is also about 75 feet long, which is where I’ve planted a mini-screen of arborvitae (to eventually hide what I don’t want to see on the other side of the fence!) 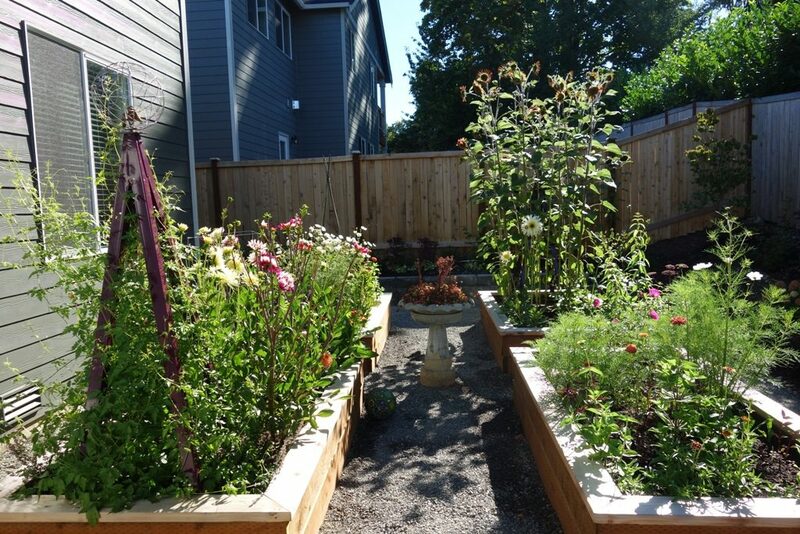 and several woody shrubs and perennials, including four roses, Verbena bonariensis, germander, several hydrangeas, a ninebark, a dogwood tree, bridal wreath spirea and sedums. 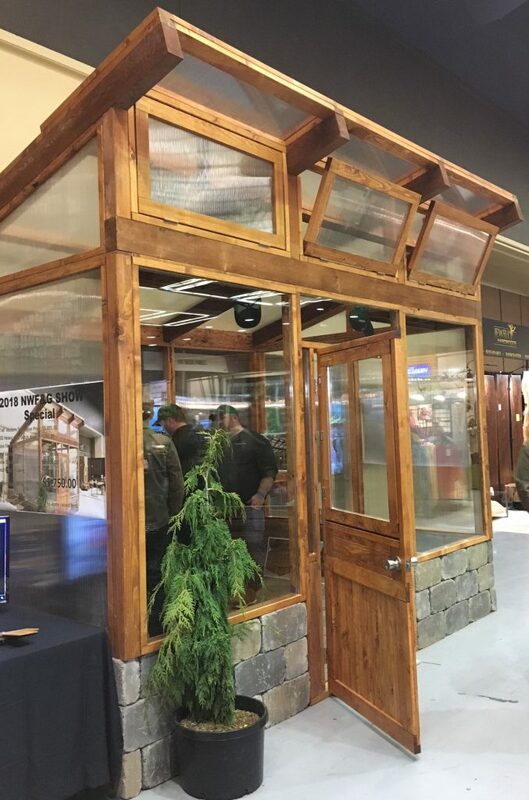 Here’s how my new greenhouse will look!!! 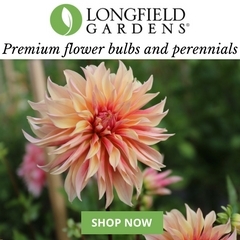 To design this season’s planting scheme, I’m working with two Slow Flowers partners — Johnny’s Selected Seeds and Longfield Gardens — on cut flower and foliage varieties I want to trial. 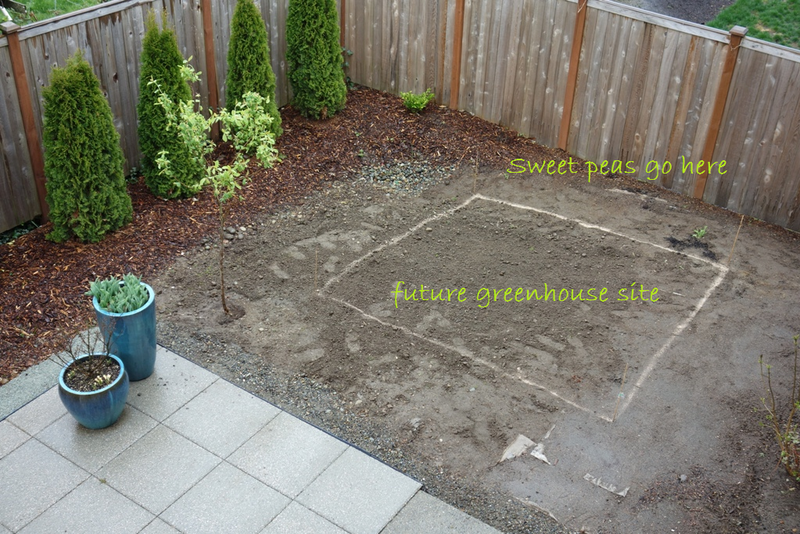 I’m super excited to add the finishing touch (hopefully by May 1st) — a new greenhouse from my friends at NW Green Panels. 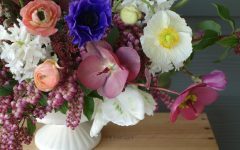 I’m still awaiting all the tulips I planted last fall to emerge and bloom, so until then I’m dreaming about what to eventually grown in each of the four beds. Just like last summer, I’m devoting “real estate” of two beds to a crazy mix of annuals + the remaining two beds will contain a vivid collection of dahlias and companion plants. 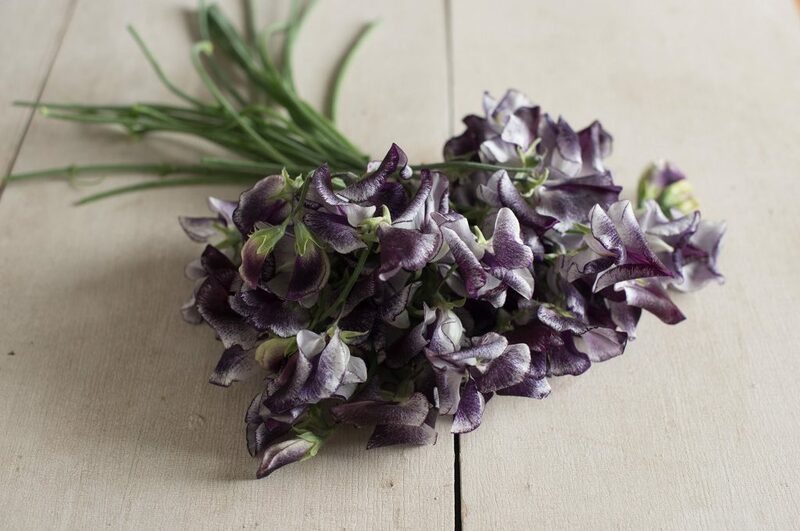 My annual planting “officially” begins today, with a 24-hour soak of two varieties of sweet pea seeds that Hillary Alger of Johnny’s Selected Seeds sent me: ‘Nimbus’ and ‘Lavender Elegance’. I’m sure there are many other colors I could be growing, and may add, but this is a lovely start. Tomorrow I will direct-sow, and as I do so, I’ll fondly recall the ritual of planting edible peas with my boys when they were younger. We followed local practice of planting peas on St. Patrick’s Day, which I learned from some of my fellow Master Gardeners. I’m a little late because I’ve been on the road so much this past month. 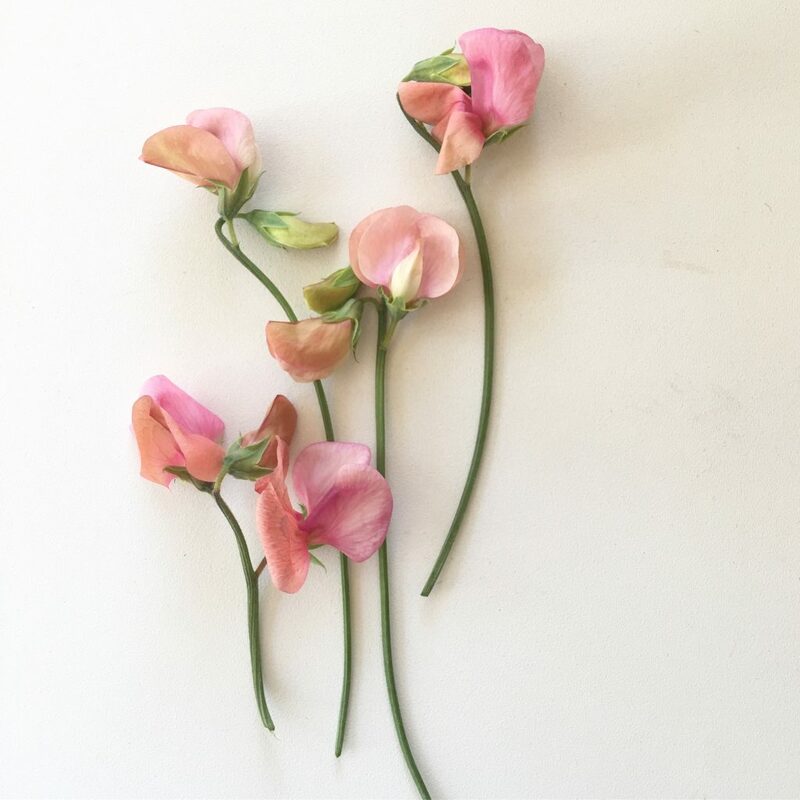 Being nine days late won’t throw me off my sweet pea game, though. 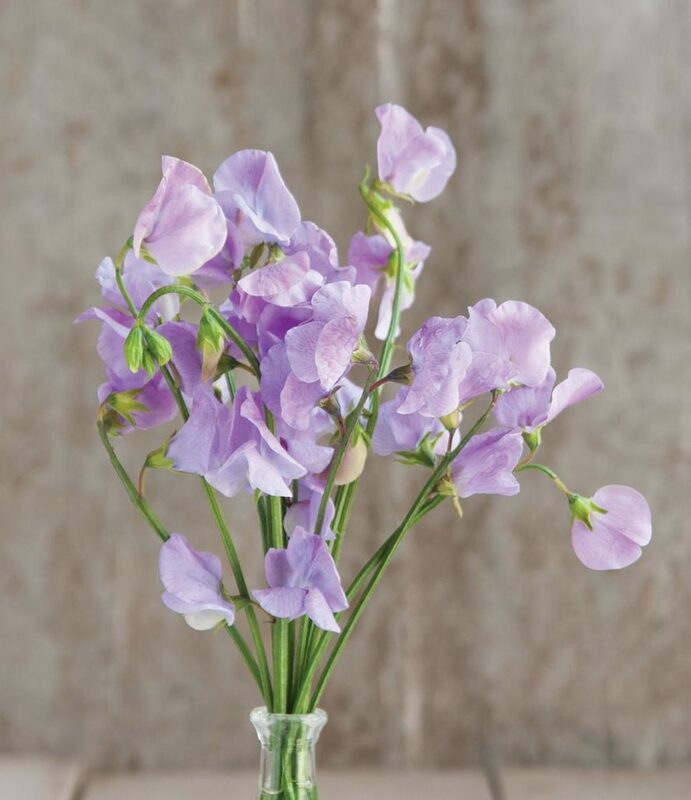 As I was writing this post, I spoke to my dear friend Lorene Edwards Forkner, editor of Pacific Horticulture and the region’s sweet pea expert. She surprised me with an offer of seeds she saved from her favorite sweet pea variety of last summer: ‘Prince of Orange’. So, I’ll pick those up later this week and get them started, too. 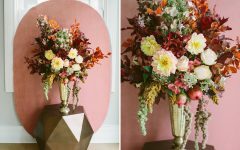 Love how the peachy orange petals will play off of the lavender and dusty plum hues of ‘Nimbus’ and ‘Lavender Elegance’. 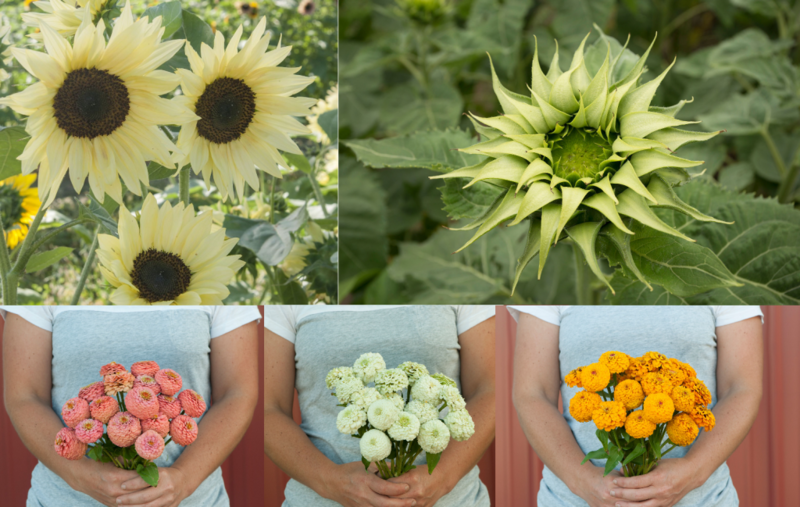 Warm soil – Easy to grow, warm season annuals can be seeded once danger of frost has passed and can be seeded again a few weeks later for a success planting, providing lots of blooms to cut all season. 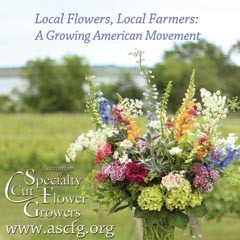 Cool soil – Easy to grow, cool season annuals that love cool soil for germination and should only be seed in the early spring or in the fall (where over wintering is possible) for best results. I’ll be keeping you posted on the progress of all these beauties! 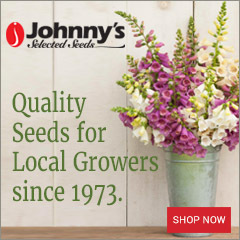 Here’s a link to all the new 2018 cut flower seed varieties from Johnny’s Selected Seeds. 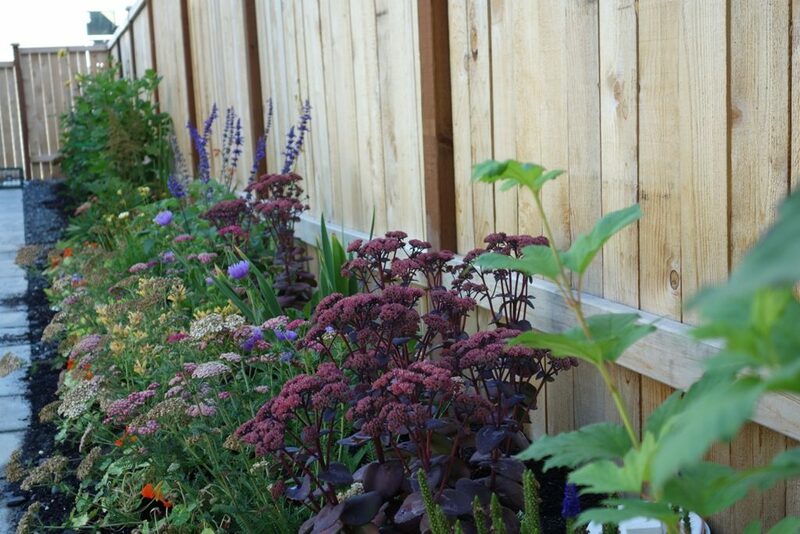 Hot sunset hues — perfect for a garden with vivid blue pots and aubergine trellises! 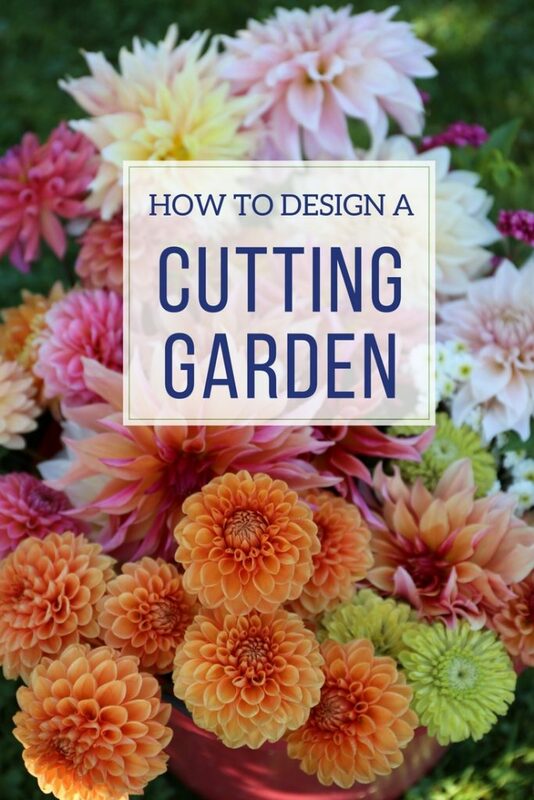 As for the two beds devoted to dahlias, I’m very excited to trial a cutting garden design created just for me — one that I want to share with you. 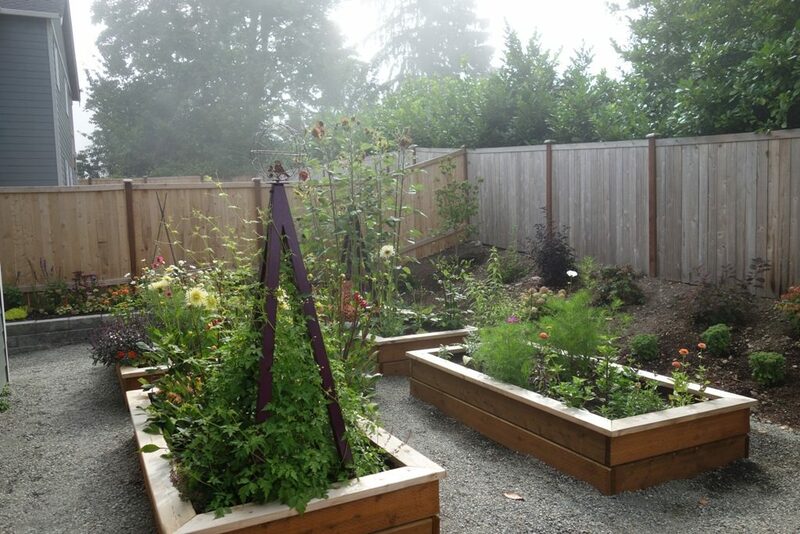 Kathleen LaLiberte, who works closely with Longfield Gardens, created this plan to fit my 4-by-8 foot raised beds. 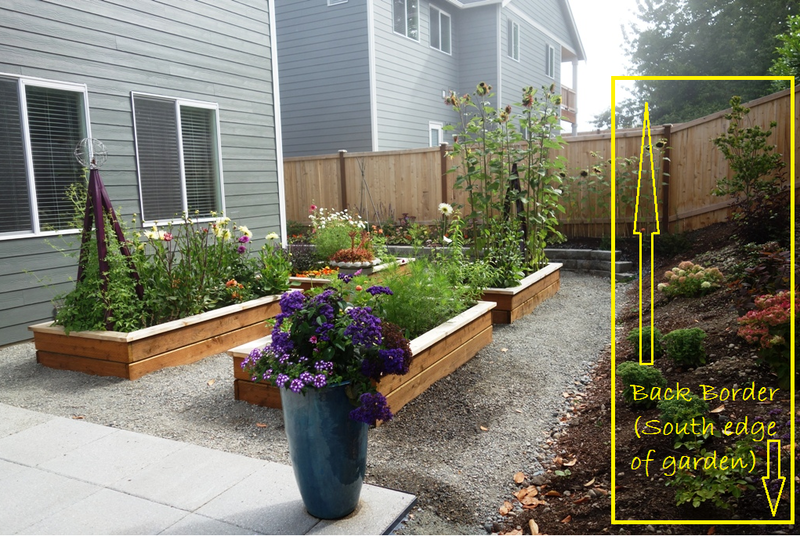 I love how she calculated the benefit of this project, both for me and for anyone who wants to have a garden and cut from it, too! 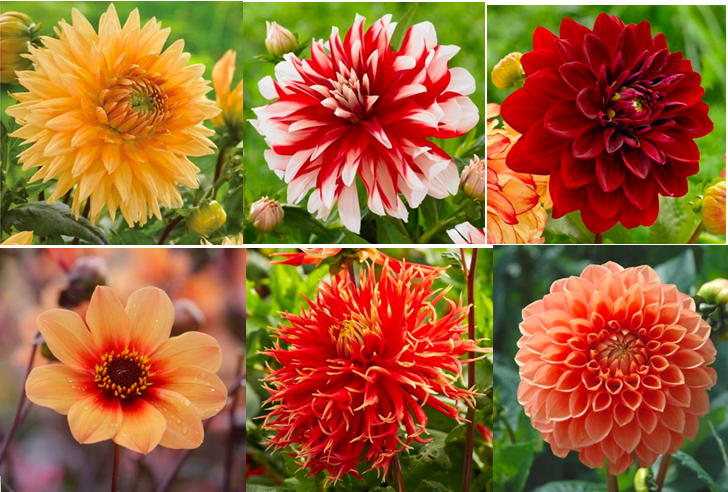 While I probably will wait until Mother’s Day to plant, it’s time to order dahlias and other summer-blooming bulbs now, in order to get the best varieties available! 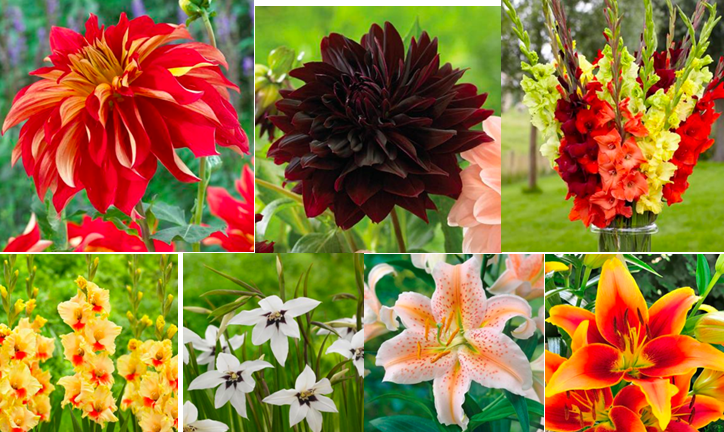 More dahlias and a few fun companions — lilies and glads — all summer blooming. This plan is designed roughly for a 3-by-6 bed, but I’m going to use it for my 4-by-8 bed. 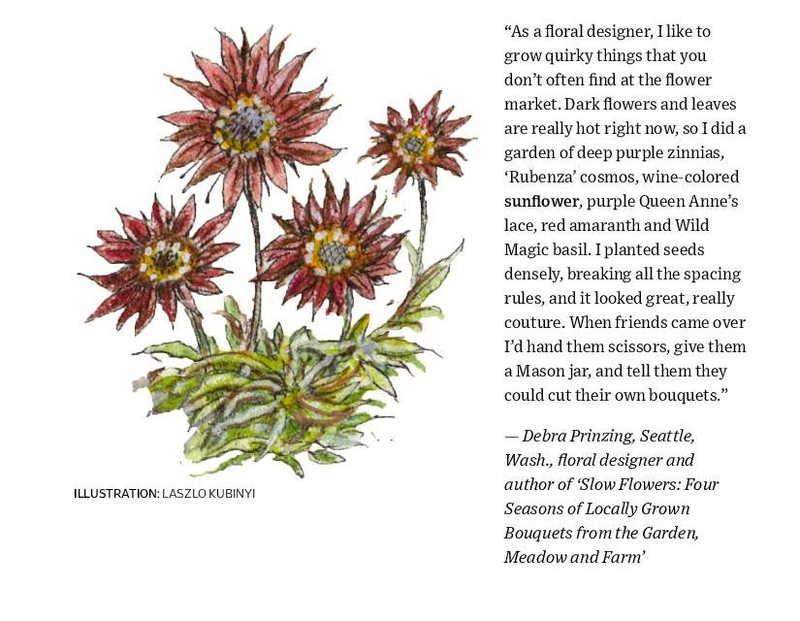 My Cutting Garden in the WSJ! 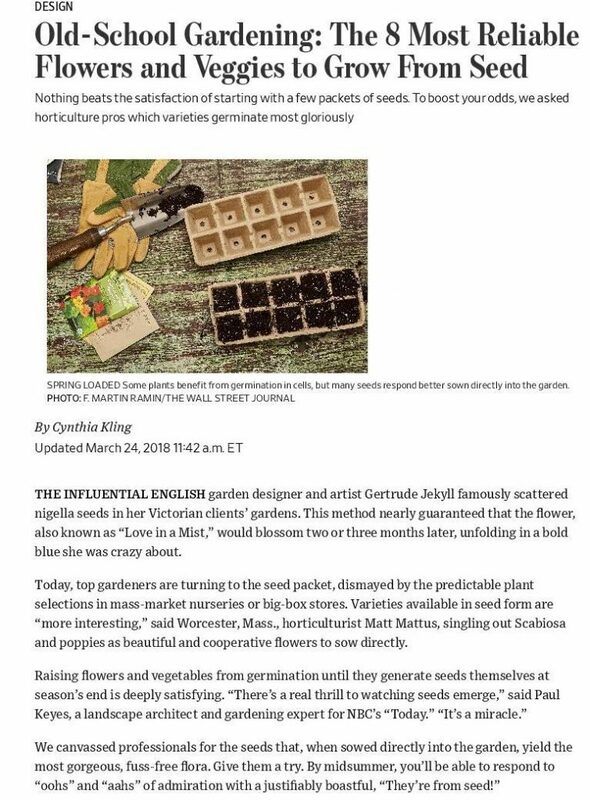 This past weekend, renowned garden writer Cynthia Kling (founding editor of Domino Magazine) published a seed-lover’s article in the Wall Street Journal’s Real Estate section. 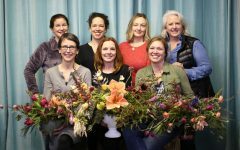 The promise of a 2nd season in my cutting garden has kept me going all winter long!